Get some ratio on the Renegade Rowing Team! Today’s Rowing WOD is a chance to work on Rhythm and Timing while building some aerobic endurance. In long chippers rowing can be used as active recovery and a chance to catch your breath. Try to find the efficient rhythm and consistent pressure you’ll need to recover mid WOD. Every five minutes the rating will change to keep you focused. Try to fix one part of your stroke each five minutes. Your effort level on this should be such that you can get out sentences to a neighbor, but breathing is labored. In the last five minutes keep your efficiency but really try to bring the split down as the stroke rating increases. In the second 15 minutes the stroke rating is going to decrease. Try to get ratio and keep the power up. Don’t let the split jump up. Focus on pushing the legs down faster and taking longer on the recovery. Post your distance rowed each piece! 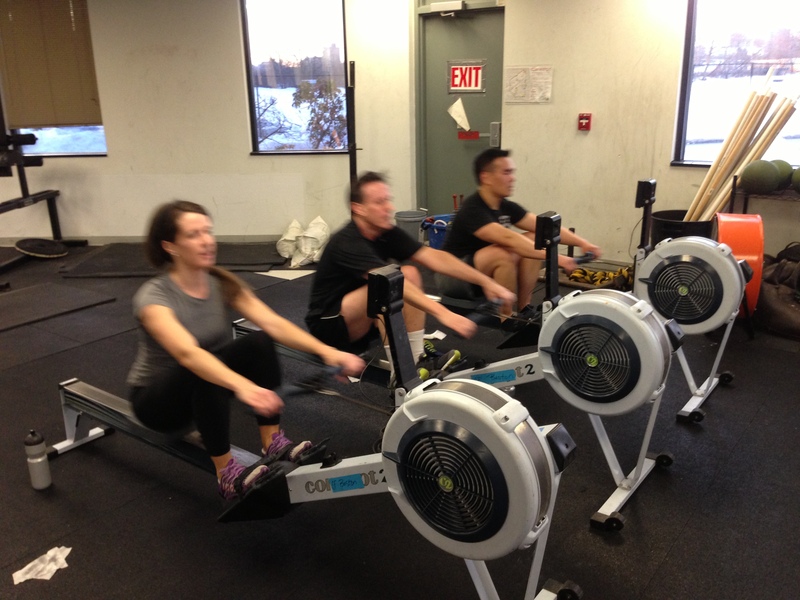 This entry was posted in Rowing and tagged endurance sports, exercise, functional movements, health, new sport, sports, training by Renegade Rowing. Bookmark the permalink. 3410m & 3428m. Nice little recovery row. Just what the doctor ordered. Now that’s what I’m talking about. A good recovery row is what it’s all about it. Especially after a leg day!